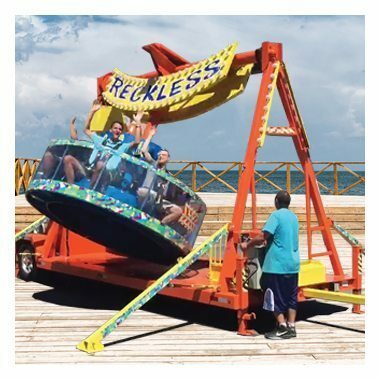 The super fun Reckless Ride carnival ride is a the same amusement park quality rental that you would see at any fair. 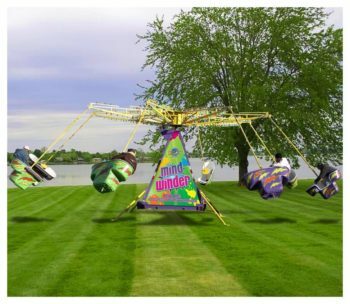 You will experience a strong G force while feeling a fast spinning movement! 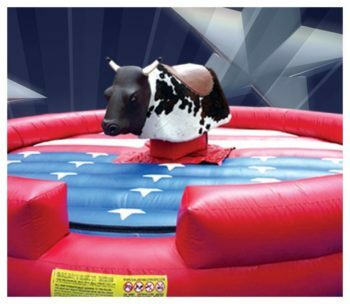 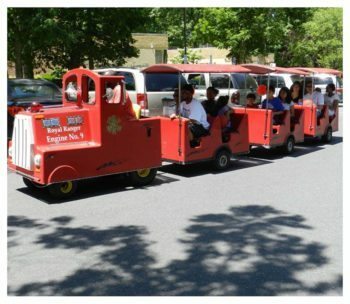 The Reckless Ride rental is a perfect attraction for any party or event. 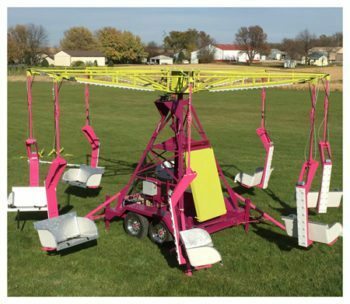 From fairs to festivals and even carnivals to neighborhood events this rental will not let you down. 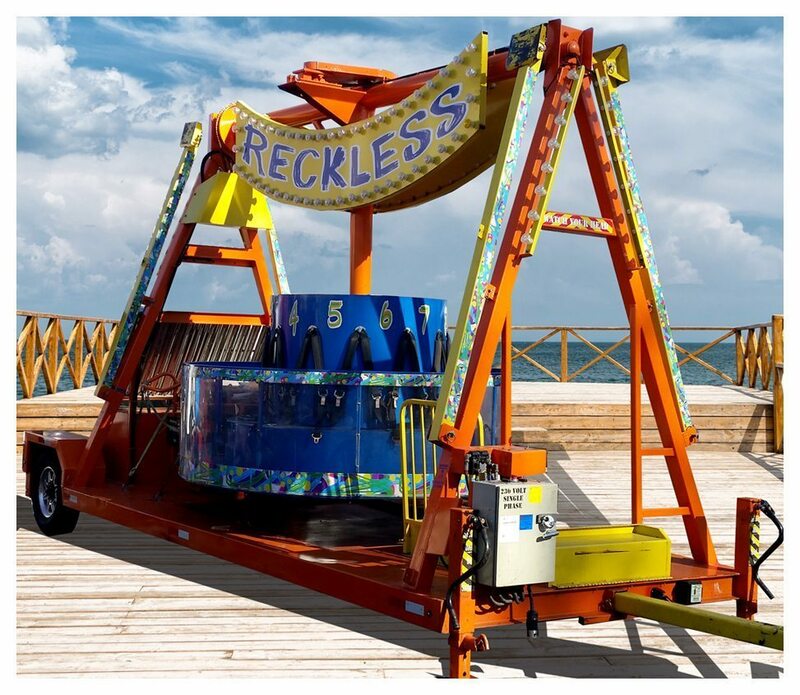 Strap yourself in; swing and spin yourself reckless.